LubrisynHA is a premium quality joint supplement for horses. It’s key ingredient is Hyaluronan (HA), which is naturally found in the synovial (joint) fluid that cushions and lubricates your horse’s joints. 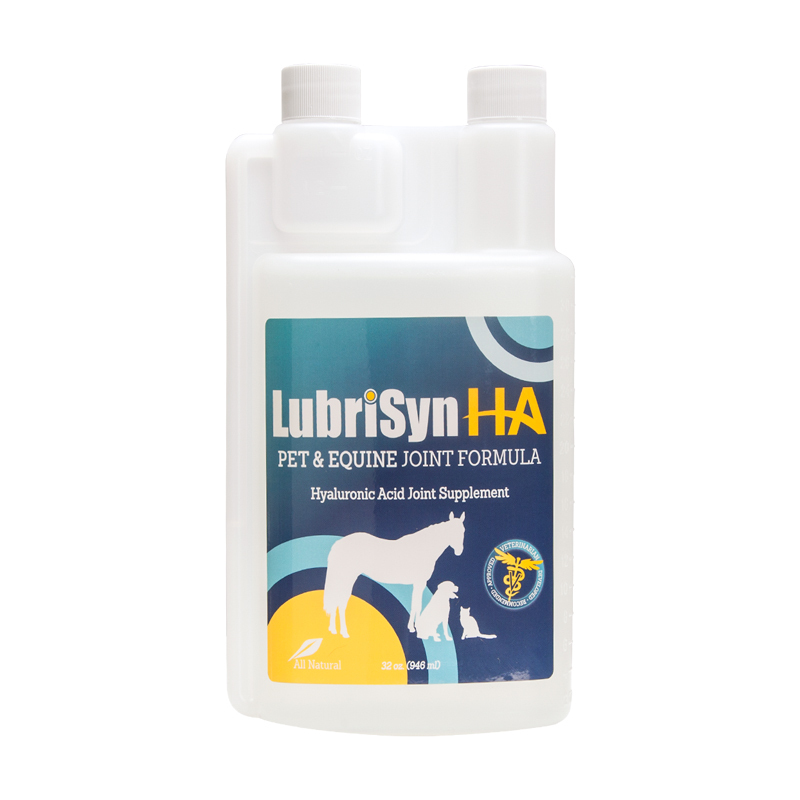 LubriSynHA stands out from its competitors, as it is a liquid with high molecular weight HA meaning it is quickly & easily absorbed to help lubricate joints, cartilage, tendons and ligaments. Hyaluronan (HA) is a naturally occurring high-molecular-mass glycosaminoglycan found in connective, epithelial and neural tissue. Noted for its viscous and elastic properties, hyaluronan acts in joint spaces as both a lubricant and a shock absorber. It is one of the major components of synovial fluid, contributing to its overall viscosity and serving as one of the fluid’s essential lubricants. LubriSynHA is a liquid, oral form of HA designed to help restore joint fluid as it degrades through aging and exercise.